You work in a warehouse long enough, you start to think you’ve seen everything. You know right where everything has to go, you know exactly what kind of warehouse shelves you have to use, and you finally feel like you have everything under control. Pallet Rack Wire Decking: A lot of people look at their pallet racks and assume everything is all set so long as the shelves themselves are intact, but that’s not quite the case. Finding the right pallet rack decking can actually go a long way towards keeping your shelves better organized, more visible, and safer overall. Wire decking can help separate products better, support more weight than normal decks, and help you find items more quickly with a higher degree of visibility—not to mention you’ll be replacing them less often. Wall-Mounted Shelves: Upon hearing the phrase “wall shelving” you probably assumed something a bit more rustic, like wood shelves in the kitchen. While those are nice (and certainly have their place), wall mounted wire shelving can actually serve a lot of uses in the warehouse. Hang them up at strategic locations around your facility to help better organize shipping and receiving areas, provide easier access to needed supplies (hard hats, gloves, toolboxes, etc) and help tidy up common areas like cafeterias and break rooms. Shelf Tracks: Most warehouses have a carton flow solution (typically involving gravity flow racks) that helps move products from one area to another, but what about shelves that help you move product across the individual racks? Shelf tracks help move products with the speed and durability of a gravity rack except they’re installable on shelf racks, helping to move products more quickly and reduce the hassles associated with large shipments and heavy boxes. Record Storage: We don’t just mean vinyl albums, like the kind you frame on your wall and listen to when you have company over. A lot of businesses need to have physical hard copies of their records for various reasons (typically to comply with federal regulations), and even if they’re only sheets of paper, these documents can begin to pile up after a while. If your warehouse needs to keep shipping records, bills of manifest, or tax paperwork for an extended period of time, high density record storage is a great and low-profile way to keep these records right where you need them. 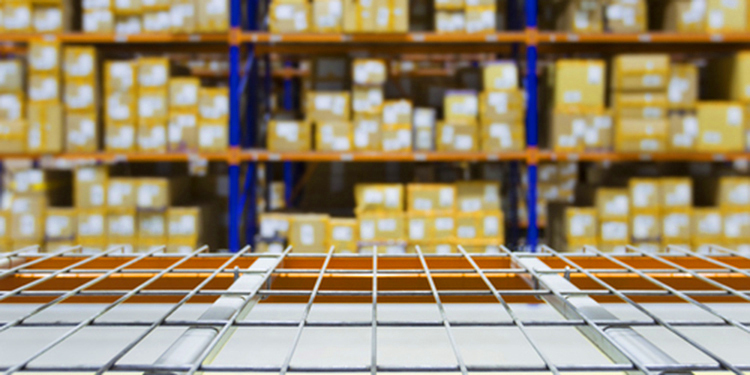 Bulk Storage Racks: In too many cases, warehouse managers think shelves are a one-size-fits-all solution; if your pallet racks are getting the job done, why bother diversifying? That’s not always the best idea though, and in cases where you have bulkier goods that need to be accessed without the availability of powered lift equipment like forklifts, bulk storage racks are a durable, strong, and fireproof way to help store your heaviest goods in their own dedicated spaces. How about considering the installation of CCTV cameras for security and online monitoring system?